Now hiring, now hiring, now hiring, now hiring … repeat these Now Hiring Inflatables Mantra At Party City as a visual chant and enticement. The, just may result in extra employment applications for Party City. 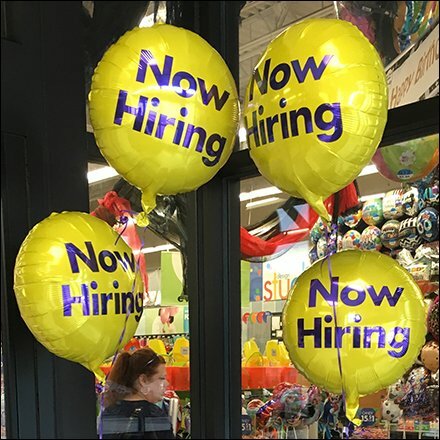 The “Now Hiring” balloons are fun, Party City is fun, maybe the job is fun too. Take a chance. File the application and see.